Heather Mack, left, from Chicago, Ill., holds her baby upon returning to a prison from a hospital in Bali, Indonesia, Monday, March 23, 2015. 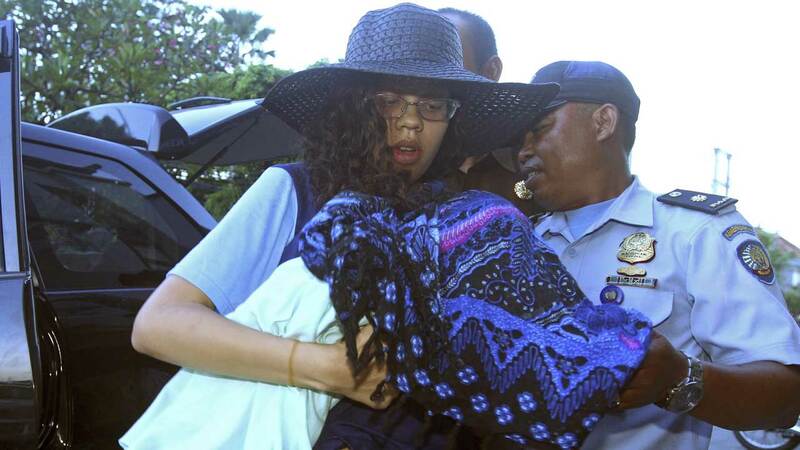 BALI (WLS) -- Heather Mack and her newborn daughter, Stella, have left an Indonesia hospital. Mack and boyfriend Tommy Schaefer are on trial for the murder of Mack's mother, Sheila von Wiese-Mack. Von Wiese-Mack's body was found in a suitcase at a Bali hotel in August 2014. Mack told the court that Schaefer killed her mother after von Wiese-Mack threatened the life of their unborn child. She gave birth last week at Sanglah Hospital in Denpasar. Mack wants Stella to stay in Bali so she can see her while in jail. Mack and Schaefer could face the death penalty if found guilty.